Canada’s marijuana legalization took a big step forward as the Senate passed an amended bill, meaning Justin Trudeau’s government can probably finalize the law and open the market this summer as planned. Bill C-45 passed by a vote of 56 to 30 with one abstention Thursday night in Ottawa. The House of Commons controlled by the prime minister’s Liberals can now accept the Senate’s changes or open up talks on another version that can pass both chambers, a process officials have said could happen in a matter of days. That timetable is much faster than the six months Conservative senators took to study the legislation, including multiple rounds of testimony from the health and justice ministers to answer questions about public safety. While it’s rare for senators to block bills from the elected House of Commons, Trudeau has pressured them to make sure the law passes before Parliament’s summer break starts June 22. Marijuana sales could reach $7.2 billion in 2019 according to a report from Deloitte LLP. Share prices of companies such as Canopy Growth Corp. (WEED.TO) have jumped as investors anticipate the market will open without a significant delay. 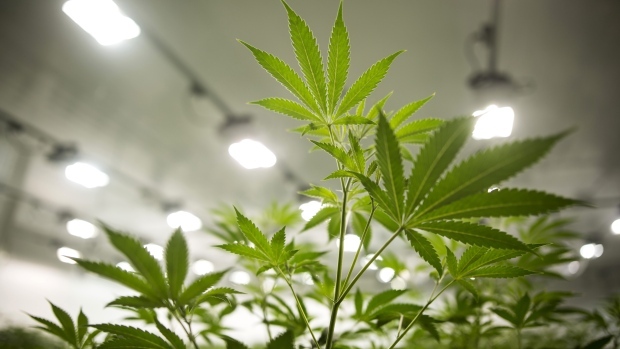 The majority of the dozens of amendments the Senate proposed were technical changes, though a few such as allowing provincial governments to ban home-grown plants could be more contentious. Government ministers have declined to comment on whether they would reject big alterations. Lawmakers wouldn’t adjourn for summer until the pot bill is done, a senior government official said before the Senate vote, speaking on condition of anonymity. Legalization had already been delayed slightly -- Canada once aimed before July 1, then “summer” and now says up to 12 weeks after the bill becomes law.